Xinren Chen is Professor of English and Linguistics in the School of Foreign Studies at Nanjing University, P. R. China and is co-editor of East Asian Pragmatics. He has published papers in pragmatics and foreign language teaching in journals such as Journal of Pragmatics, Foreign Language Teaching and Research, Modern Foreign Languages and Contemporary Linguistics. The major monographs he authors or co-authors include Contemporary Pragmatics, English Grammar in Use, The Pragmatics of Overinformativeness in Conversation, A Critical Pragmatic Perspective on Public Discourse, Politeness Theories and Foreign Language Learning and Pragmatics and Foreign Language Teaching. This volume looks at politeness phenomena in a culture and country that is becoming the most influential in the world. It is the first book to survey politeness variations across different genres in Chinese and fills a gap in both politeness research in general and in Chinese politeness research in particular. Unlike existing studies which treat Chinese politeness phenomena as non-varying this study provides systemic evidence for how linguistic polite behaviour varies across genres in China. These intracultural variations which are investigated in the volume include addressing, backchanneling, identity construction and rapport management which are subject to the influence of genre differences such as formality of occasion, media and channel of communication, presence or absence of interlocutor or third party and role-configurations. The volume offers those who read or write Chinese texts or engage in Chinese conversation an enriched knowledge of how politeness as the most important type of interpersonal meaning is communicated in different genres in that language. This volume looks at politeness phenomena in a culture and country that is becoming the most influential in the world. 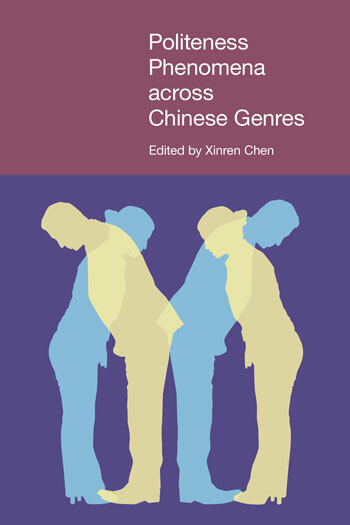 It is the first book to survey politeness variations across different genres in Chinese and fills a gap in both politeness research in general and in Chinese politeness research in particular. Unlike existing studies which treat Chinese politeness phenomena as non-varying this study provides systemic evidence for how linguistic polite behaviour varies across genres in China. These intracultural variations which are investigated in the volume include addressing, backchanneling, identity construction and rapport management which are subject to the influence of genre differences such as formality of occasion, media and channel of communication, presence or absence of interlocutor or third party and role-configurations. The volume offers those who read or write Chinese texts or engage in Chinese conversation an enriched knowledge of how politeness as the most important type of interpersonal meaning is communicated in different genres in that language. Yuling Pan is Sociolinguist and Principal Researcher at the U.S. Census Bureau. Her numerous publications include Politeness in Chinese Face-to-face Interaction (Ablex, 2000), Professional Communication in International Settings (with Suzanne Scollon and Ron Scollon, Blackwell Publishing, 2002) and Politeness in Historical and Contemporary Chinese (with Dániel Z. Kádár, Continuum, 2011). Xueyu Wang is Associate Professor in School of Foreign Studies at Nantong University, P.R. China. She has published papers in pragmatics and discourse analysis in journals such as Communication & Discourse, Communication & Society, Modern Foreign Languages and Contemporary Linguistics. Xueyu Wang explores, within the framework of Leech’s (2014) GSP, how speakers “do” politeness in guest introducing and responding acts at Chinese dinner table. The results show that Chinese dinner table talk is a very complex social interaction involving different participant roles. In most guest introducing and responding acts, both Approbation Maxim and Modesty Maxim are used and realised linguistically with the use of typical address terms, adjectives, verbs, and nouns carrying positive semantic load and some syntactic structures like rhetorical questions and exclamatory sentences. In addition, in both guest introductions and responses at dinner tables, powers, social status, and interpersonal relations among participants are found to influence the use of politeness strategies and language choice. Xinren Chen directs attention to the introductory part of the lecture activity in Chinese universities and demonstrates how the host and visiting professor’ interaction at this phase serves as a site of interpersonal work such that they attach an additional interpersonal meaning to the basically academic activity. His study shows that the hosts are profuse in the use of approbation strategy, directed to different aspects of the visiting professors, including their popularity and fame, prolificacy and achievement, expertise and authority, contribution, conduct, lecture value, and sometimes a combination of several aforesaid aspects; in reaction to the hosts’ complimentary introductions, the visiting professors demonstrate a variety of responses, including acknowledgment, approbation downgrading, approbation denial, phatic communion, and compliment return, sometimes in singular ways and sometimes in combined ways. Yonghong Qian is Associate Professor in School of Foreign Languages at Nanjing University of Auditing, Nanjing, China. She has published several papers on pragmatic teaching, critical pragmatics, and interpersonal pragmatics in journals such as Modern Foreign Languages, Foreign Language Teaching Theory and Practice, Foreign Languages in China, Foreign Languages and Their Teaching, Foreign Languages and Literature, and so on. She has contributed a book chapter in Xinren Chen (Ed.) (2013), Politeness Theory and Foreign Language Learning, and another chapter in Xinren Chen (Ed.) (2013), Pragmatics and Foreign Language Teaching. Yonghong Qian examines how hosts and guests interact at the opening stage of three Chinese TV celebrity interview programmes, with a special focus on the compliments hosts pay to the guests and the responses the guests make, in order to reveal their respective effort directed at politeness. Her study indicates that both the hosts and the guests resort to politeness strategies. The primary strategy adopted by the hosts is to observe the Approbation Maxim, exalting the positive qualities of the guests. By comparison, the guests resort to a variety of strategies of politeness, abiding by such maxims as modesty, agreement, obligation, and approbation. The use of these strategies on both sides helps to maintain or establish a harmonious relationship between them, as well as with the audience present. For the guests, it also contributes to the building and maintaining of their nice public image. Wei Ren is Professor of Applied Linguistics at the National Key Research Centre for Linguistics & Applied Linguistics at Guangdong University of Foreign Studies, China. His research interests include L2 Pragmatics, Cross-Cultural Pragmatics, and Pragmatics in online communication and in English as a Lingua Franca Communication. His recent publications include a monograph L2 Pragmatic Development in Study Abroad Contexts and articles in Applied Linguistics, Discourse, Context & Media, ELT Journal, International Journal of Bilingual Education and Bilingualism, Pragmatics, and System. Wei Ren investigates the linguistic strategies employed by the host in a radio-mediated call-in programme in China as a means of identity construction. His study reveals five partly overlapping local identity categories: caring helper, responsible helper, authoritative host, media propagandist, and public authority, which influence the host’s choices of linguistic strategies, including (im)politeness based on the argument that the use of (im)politeness is a linguistic index for the host’s identity construction. Doreen Wu is Associate Professor in the Department of Chinese and Bilingual Studies, The Hong Kong Polytechnic University. Her major research interests and publications have been in the areas of Chinese sociolinguistics and comparative discourse studies of media. Among her works are: The Discourses of Cultural China in the Globalizing Age (2008); co-editor of Media Discourse in Greater China, special issue for Journal of Asian-Pacific Communication (2009, vol. 19, 2); co-editor of Media Discourses & Cultural Globalisation: A Chinese Perspective, special issue for Critical Arts (2011, vol. 25, 1). Her recent projects and publications include: Language Use of the Youth on the Internet, and Researching Human Interactivity and Relational Communication on Chinese New Media. Minfen Lin is a PhD candidate in Department of Chinese and Bilingual Studies of the Hong Kong Polytechnic University. She is an active practitioner in the field of Communication and Media, and her research interests focus on sociolinguistic study of New Media Communication. Doreen Wu and Minfen Lin examine the types of facework made possible by the Chinese celebrities in the performance of various kinds of relational acts on Sina Weibo, the leading Social Network Service Site (SNS) in the Cultural China region. They argue that the reputable individuals used these relational acts as well as related features to build relational connectedness with their followers. They discover that such SNSs have formed a new literary practice that reflects both traditional and new ways of constructing facework (see Davies 2012; Wu and Feng 2015; Zhao, Grasmuck and Marin 2008). Yongping Ran is Professor at the National Key Research Centre for Linguistics and Applied Linguistics in Guangdong University of Foreign Studies, Guangzhou, P. R. China. He is Editor-in-Chief of the journal of linguistics and applied linguistics Modern Foreign Languages. He has published papers in Intercultural Pragmatics, Journal of Pragmatics, Pragmatics and Society, and in some top journals of linguistics in Chinese. He has also published books such as Pragmatics: Phenomena and Their Analyses (2006), New Explorations in Lexical Pragmatics (2013), and some co-authored books of pragmatics, including Cognitive Pragmatics: Cognition in Verbal Communication (2006), A New Survey of Pragmatics (2009) and so on. Qian Chen is Associate Professor in College of Foreign Languages and Literature at Northwest Normal University, and a doctoral student at the National Key Research Centre for Linguistics and Applied Linguistics in Guangdong University of Foreign Studies, P. R. China. She has published papers in pragmatics in journals such as Linguistics and Applied Linguistics, Foreign Languages and Their Teaching, and Journal of Gansu Lianhe University. She has also published papers about language teaching in journals such as e-Education Research and Journal of Northwest Adult Education. Yongping Ran and Qian Chen focus on advice-giving in the Ph. D. oral defences in Chinese universities and explore how the supervisors construct identities in relation to the management of interpersonal rapport between the participants. It is found that while the supervisors provide the students with some help for the improvement of their dissertation, they also take into account interactional goals which are about the management of personal or interpersonal relationships with the students. As a consequence, the supervisors are found to adopt some strategies for constructing collective identities as well for managing rapport relations with the students. Tzu-Wei Hsiang is a doctoral student in the Institute of Linguistics at National Chung Cheng University, Taiwan. She has contributed a book chapter on “Top secret: hacking and fraud detection in business emails of a Taiwanese company” in Yuan-shan Chen et al. (Eds.) (2016), Email discourse among Chinese using English as a lingua franca. Victoria Rau is Professor in the Institute of Linguistics at National Chung Cheng University, Taiwan. She has published papers in sociolinguistic variation in journals such as Language Learning, Language and Linguistics, and Oceanic Linguistics. She has also co-authored Yami: Texts, Reference Grammar, and Dictionary, published by Academia Sinica, and co-edited Documenting and Revitalizing Austronesian Languages, published by the Journal of Language Documentation and Conservation, University of Hawaii. Tzu-Wei Hsiang and Victoria Rau explore the strategies of refusals used by Chinese women on TV dating shows in Taiwan and Mainland China. Using an interactive sociolinguistic approach to discourse analysis, the authors analyse the females’ refusal strategies with a focus on two Chinese versions of the dating show “Take Me Out”, showing that in the context of TV dating shows, women in Taiwan and those in Mainland China employ drastically different strategies, revealing different interpersonal attentiveness and face systems. Liyin Zhang is Lecturer in School of Foreign Languages at Northwest University, Xi’an, China, and also a PhD. candidate of Applied Linguistics at Nanjing University, Nanjing, China. She has published several research papers on pragmatics and textual analysis of academic discourse in journals such as Foreign Languages and Their Teaching and presented at several international conferences such as the 6th International Conference on Intercultural Pragmatics and Communication. Xiaoyan Wang is Lecturer in School of Foreign Languages at Nanjing University of Posts and Telecommunications, Nanjing, China, and also a PhD. candidate of Applied Linguistics in Nanjing University, Nanjing, China. She has published several papers on pragmatic teaching in journals such as Foreign Languages and Their Teaching. Liyin Zhang and Xiaoyan Wang focus on how panelists do rapport management when expressing disagreement at conference discussions. Based on an in-depth analysis of the utterances collected from academic conference discussions in the field of linguistics, they show the strategies the panelists adopt to manage face and sociality rights and interactional goals in the activity, and investigate the influencing factors concerned. The study demonstrates that disagreement, though a risky communicative act, is not necessarily meant to be face-threatening, but rather it can be a site for the management of rapport between or among interlocutors. Panelists craftily combine the components of disagreement with other strategies to fulfil the purpose of rapport management. Cynthia Lee is Associate Professor in the Centre for Applied English Studies (CAES) at the University of Hong Kong, China. She has published papers in interlanguage and intercultural pragmatics in journals such as Journal of Pragmatics, Pragmatics, Multilingua and Intercultural Pragmatics. She is also interested in second (L2) language learning in the academic context and her work has appeared in journals such as Language and Education, System, Computer-Assisted Language Learning and Teaching in Higher Education. Winnie Shum is Senior Research Assistant in the Centre for Applied English Studies (CAES) at the University of Hong Kong. She has a Master’s degree in Language Studies. She is interested in intercultural/interpersonal communication, pragmatics, discourse analysis and (im)politeness. Winnie has worked for several large-scale research projects which are related to English language diagnostic assessment and e-learning for Vocational English communication in Hong Kong. Cynthia Lee and Winnie Shum manifest how in Internet discussion forums, the Cantonese interlocutors present opposite views when they disagree. Their study indicates that the interlocutors adhere to their traditional values to do justice and make moral judgement, and shows that the interlocutors employ these as tactics for implicit disagreement and empowerment, leaving the implied meaning to the others. They argue that such implicit disagreement is particularly enacted with the aim of preserving others’ face and avoids hurting the positive face directly (Brown and Levinson 1987), a speaking practice that is largely in line with Chinese interpersonal communication practice, politeness and face work (Gao 1998; Gao and Ting-Toomey 1998; Kádár and Pan 2011; Pan 2000;). Chunmei Hu is Lecturer in the School of English Studies at Xi’an International Studies University, Xi’an, China. She has published papers in pragmatics and cognitive linguistics in journals such as Journal of Pragmatics, Intercultural Pragmatics, and Foreign Language Education. Rong Chen is Professor of Linguistics at California State University at San Bernardino, U.S. and Guest Professor at Xi’an International Studies University, China. His research interests are pragmatics and cognitive linguistics. He has published several books and more than 50 articles in these and other areas of linguistics and serves on the governing and editorial boards of associations and journals. Chunmei Hu and Rong Chen explore the interconnection between backchanneling and politeness in TV interviews aired in Mainland China, Hong Kong, and Taiwan. They demonstrate that while the function of backchanneling varies a great deal in this particular genre, it is motivated by the speakers’ consideration for the dominant speakers’ positive face. Simply put, positive politeness undergirds almost all instances of backchanneling in Chinese TV interviews. Yansheng Mao is Associate Professor in the Foreign Languages Department at Harbin Engineering University, China, as well as a postdoc research fellow in English Department of East China Normal University. He has published papers in sociopragmatics in journals such as Language Teaching and Linguistics Studies, and Applied Linguistics. He has also co-authored Linguistic Variation in the Framework of Linguistic Adaptation Theory, published by Xiamen University Press. Kun Yang is Lecturer in the Foreign Languages Department at Civil Aviation University of China. 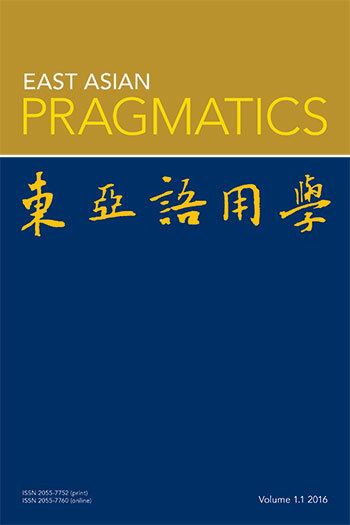 He has published papers on pragmatics in journals such as Modern Foreign Languages, Foreign Language Education in China, Journal of Guangdong University of Foreign Studies, and Journal of Tianjin Foreign Studies University. Yansheng Mao and Kun Yang explore the use of back-channels in Chinese consultant-caller communication as a form of politeness. They find that the consultants use backchannels for the primary purpose of following, followed by those performing the functions of agreeing, responding, rephrasing, adding, interrupting, repeating and commenting. These functions, discussed within Leech’s GSP (2014), are found to have the implications of politeness. Xiyun Zhong is Assistant Professor in the School of Foreign Studies at Hohai University, Nanjing. Her PhD dissertation traces the pragmaticalisation of politeness markers in English. She has published both book chapters and journal articles on English and Chinese pragmatics in general and politeness in particular. Xiyun Zhong and Cynthia Allen, by combining quantitative and qualitative analyses, and integrating interviews with observations, examine the backchannel practice on the Chinese Internet forums. They discover that backchannels, represented in an Internet style, occur more frequently on the Internet forums than in daily conversations, and perform a variety of politeness functions, each function corresponding to a certain sub-maxim of Leech’s General Strategy of Politeness. 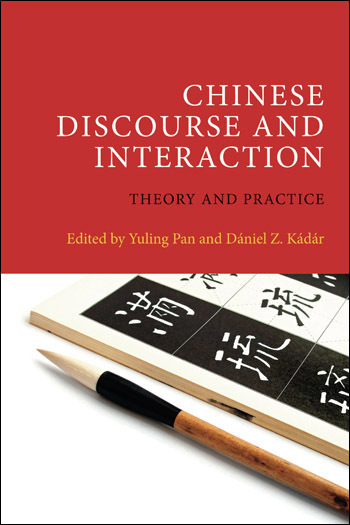 A much welcome addition to the ongoing exploration of Chinese politeness, as well as politeness research in general. It also has significant implications to cross-cultural pragmatics, and intercultural communication.